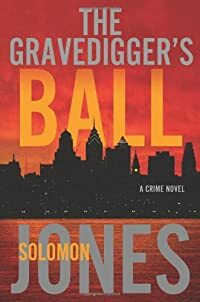 The Gravedigger's Ball by Solomon Jones: Synopsis and Online Purchase Options. Synopsis (from the publisher): Just weeks after tracking down a killer known as the Angel of Death, Detective Mike Coletti stands at Mary Smithson's grave, mourning the woman whose betrayal nearly cost him his life. He's joined there by Mary's beautiful half-sister, Lenore. Moments later, a gunshot splits the air, placing Coletti on a collision course with the Gravedigger, a killer hell-bent on deciphering the secret of life and death. As bodies drop and tensions mount, clues are plucked from the victims, and one thing is abundantly clear—Lenore is the killer's ultimate target. But to stop the Gravedigger, Coletti and his partners must go beyond protecting Lenore. They must go to the one place where life and death routinely meet. They must go back to the grave.